On National Earthquake Safety Day, it is worth remembering that 25 April 2015 was not the Big One everyone had feared. That one is yet to come. 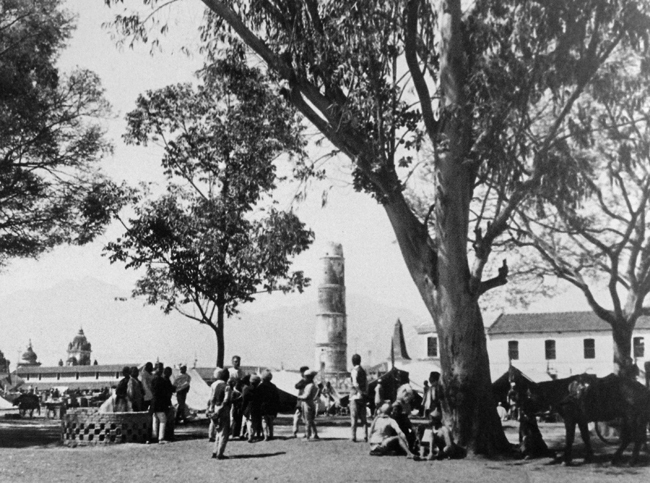 Every year, Nepal has been marking 15 January as National Earthquake Safety Day to commemorate the 1934 magnitude 8.3 quake epicentred in Okhaldhunga that killed 10,000 people in Kathmandu Valley. After last April’s disaster, we probably don’t need to be reminded of the devastation earthquakes can cause. But it may be well worth remembering that April was not the Big One everybody had feared — that one is still coming. As it turned out, the earthquake three months later on 25 April was not the expected megaquake. Tragic as the loss of life was, the country did not suffer catastrophic nationwide damage. This was one of the most data-rich earthquakes ever in the Himalaya, and the numbers are being analysed. What scientists know so far is that the whole of central Nepal, including Kathmandu Valley, moved southwards by upto 3m. The terrain tilted like a seesaw, with the Mahabharata range rising as the mountains north of Kathmandu dropped. The earthquake’s aftershocks travelled along a rupture zone eastwards from the epicentre on the Gorkha-Lamjung border. There was very little shaking and no major aftershocks to the west. The earthquake was not strong enough to release all accumulated energy in the block of crust below central Nepal, however, and seems to have fizzled out just the south of Kathmandu Valley. The shaking lasted less than a minute, and the shock waves were of sufficiently low frequency, causing damage to older mud and brick buildings and monuments but sparing most ferro-cement structures. These and other lucky factors, like that the main earthquake struck on a Saturday afternoon, saved many lives. Based on the number of classrooms that were completely destroyed, it is estimated that 75,000 children could have died had the quake happened on a weekday. Seismologists say that there are now two looming dangers. One is that tectonic tension underneath the central Nepal block was not completely dissipated. This could be let off slowly and safely through what scientists call ‘creep’, but the rock strata could also snap without warning causing a major earthquake epicentred south of Kathmandu. A similar double whammy occurred during the 1833 and 1866 earthquakes in eastern Nepal, when tectonic tension stored underground was not fully released in the main event. The other even more nightmarish scenario is the seismic gap in western Nepal between Pokhara and Dehradun in India where there hasn’t been a major earthquake for over 500 years, and the accumulated energy could lead to a sudden crustal shift of up to 10m. This is a ticking time bomb, and when (not if) it strikes, it could be a 8.5 magnitude event that will devastate western Nepal, the cities in the Indo-Gangetic plains and also Kathmandu. The April 2015 Earthquake will pale in comparison. On National Earthquake Safety Day, we should remember not to forget what happened nine months ago. We should be conscious of the fact that we got off relatively lightly. The earthquake was a warning for us to redesign and build seismic resistant homes, schools and public buildings, have a preparedness plan tested for coordination, and be ready not just in the 15 affected districts, but in all 75. It is worth reminding ourselves that earthquakes don’t kill people, weak houses and bad planning do. Earthquakes should not be considered ‘natural’ disasters, they are manmade. There is a false sense of security among Nepalis after April that multi-storey concrete structures are safer. They will actually be terrible death traps in the next Big One. The earthquake stirred us, but did not shake us out of our complacency and fatalism. There are many tottering substandard buildings that will crumble unless we heed the lessons from 2015.